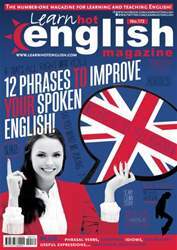 Digital Subscriptions > Learn Hot English > 172 > WHAT WILL IT BE: COFFEE OR TEA? Answer the questions in the “Think about it” section at the top of this page. Use the words on the vocabulary page (page 4) to help you. Read or listen to the article once. Were any of the things you like mentioned? 1. …often has a Hazelnut Cappuccino.